Spanning twenty years of service to Southern California residents, Brea Towing provides ethical, reliable and professional service to our customers. 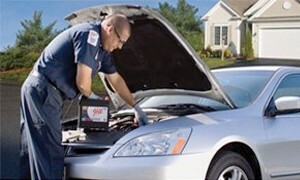 Our Battery Service utilizes state-of-the-art technology to accurately diagnose your battery-related problems. Best of all, we come to you, whether at home, the office, the mall, or on the road. Battery Service provides; convenient mobile service that comes to you, testing of the battery, starting, and charging systems. With the purchase of a AAA Battery, members enjoy these additional benefits; A high-quality AAA battery that meets or exceeds your vehicle manufacturer specifications, battery installation included at no additional charge, A six-year limited warranty with a three-year free replacement period, mobile warranty service that comes to you available throughout the U.S. and Canada, safe disposal and recycling of your old battery, the battery roadside assistance call is free with purchase. The life expectancy of the average vehicle battery is three to four years. Key factors that affect a batterys performance are age, vibration, poor maintenance and extreme temperature. Some of the potential symptoms of a failing battery are; The motor turns over slowly when starting the vehicle, Clicking noises when turning the key or the interior lights start to dim. 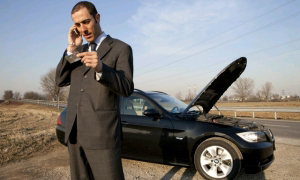 However, it is more difficult to identify symptoms of failing batteries in todays automobile. The best way to determine if your battery is failing is to have the battery and charging system tested by a trained technician. Complete Towing Services for more than twenty years, roadside help when you need it, day or night. Consumer and commercial towing, Law enforcement towing and storage, Removal of illegally parked vehicles (PPI), Light duty towing and recovery, Motorcycle towing. 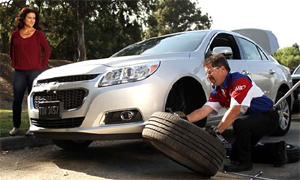 If your vehicle spare tire is inflated and serviceable, it will be installed to replace a flat tire, when possible. When a serviceable spare tire is not available or cannot be installed, towing to tire repair or replacement facility will be provided. 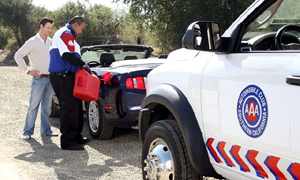 If the key that operates or provides access to the passenger compartment of the vehicle is lost or broken, service will be sent to gain entrance. If for some reason the vehicle cannot be safely opened or made operable, towing services will be provided. If your vehicle runs out of fuel, a limited supply will be delivered, if available, to enable you to reach the nearest service station. Please specify what type of fuel your vehicle runs on. If fuel is not readily available towing will be provided. We provide private property towing and storage services for business owners, management companies, and security companies. You may find that your vehicle has been towed as a result of violating the parking rules on private property. We do not make the decision to have any vehicle impounded. We simply provide the service at the request and written authorization of the business owner and/or approved party. We are law enforcement tow provider serving Orange County for over 20 years. We provide towing and storage for many law enforcement agencies. The life expectancy of the average vehicle battery is three to four years. Factors that affect a batterys performance are age, vibration, poor maintenance and temperature. Most spare tires are "Limited Use" tires and are limited to 50mi and 50mph. Periodically check your tires (including the spare) to ensure proper tire pressure. 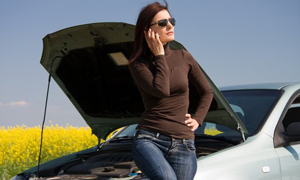 Check your vehicles fluid levels frequently to prevent unneeded damage.